The Madison Courier has been here with us in southeastern Indiana for 182 years. Supposedly, it has never missed an edition. But, has it started to go down for the third time? Newspapers, like humans, often have lifespans. They’re born, often with a flash of publicity. They grow and gradually mature, learning not to commit “rookie errors” as they go along. They influence their home towns — or, in the case of papers from large cities, often their states, too, or even the whole United States, in one direction or the other. “The power of the pen” is a real thing — and, often, a good one, although sometimes not so good, depending on your political views. And an editorial page — where the newspaper’s owner states his, or her, views on things local, state and national; plus editorial cartoons, also obviously in general agreement with the owner’s political views, and political columns by other writers, identified with their names at the top, which may agree or disagree, depending on the choices of the editor — an editorial page is like the personality of a newspaper. If the management has discontinued that page, as increasing numbers of American newspapers nowadays have, then it has no personality, no character. And the Courier appears to have tossed its editorial page into the dust bin of history, except for, maybe, once a week. BUT NEWSPAPERS, as I said before, have a lifespan. Times and views change. Technology changes. In the case of newspapers owned by the same family for several generations, and the Courier is one of the most prime examples of that, sometimes the most recent generation just isn’t as interested any more, or things have changed to the point that the newspaper’s income just isn’t adequate to keep the publication going much longer. The Courier’s current publisher Curt Jacobs Jr. recently wrote a message to the paper’s subscribers that stunned many of us. Starting Feb. 5, the newspaper will publish a print edition only on Tuesday, Thursday and Saturday — three days a week, instead of the current six. In addition, he announced that the printed Couriers will start being sent to paid subscribers through the U.S. Mail — not delivered by paper carriers or motor route drivers. Translation: Those carriers and drivers will no longer be employed at the Courier. To be sure, Jacobs also told his readers that new news items, photos, obituaries, and the like will be added to the Courier website each day, and implied that there would be other changes that he hopes readers will like. But, only three printed editions per week. NOW, THESE THINGS are no different than similar steps that the managements of many newspapers across the U.S. have felt compelled to take in the past few years. The multiple news sources on the Internet nowadays have put newspapers, large and small, into a “world of hurtin'”, as the old saying goes. It’s easier and cheaper to just log on and scroll down, reading the news on multiple websites, than paying so much a month, then waiting for your printed edition to be delivered each day. But for those of us who live in or near Madison, Indiana, the Courier is something that’s always been here, like the Ohio River or the Hoosier and Kentucky hills that rise on either side of its valley. 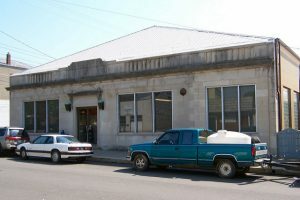 The Courier was founded in 1837 — 182 years ago. In 1849, a man born and raised in Virginia named Michael Christian Garber Sr. purchased it, converting it into a daily newspaper from a weekly one. Michael Garber was far more than just a newspaper publisher. He got involved in the struggle against slavery of the 1850s. In 1854, he was one of a group of anti-slavery men who gathered in Racine, Wisconsin, and established the Republican Party. 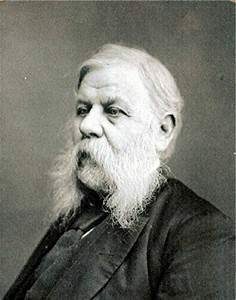 When the Civil War broke out in 1861, Garber enlisted in the Union Army, eventually being named the Army’s chief quartermaster who was in charge of procuring and shipping all supplies to the troops at the front. Michael C. Garber Sr. died in 1881, and his son Michael C. Garber Jr. succeeded him, being publisher of the Courier until he retired in 1922. Then HIS son, Michael Eggleston Garber, took over the family business and ran it very ably until the early 1950s. And Curt Jacobs is the sixth generation of the Garber-Wallis-Jacobs family to operate the Courier, one of the oldest newspapers in the U.S. still owned by the same family. THE MADISON COURIER, 99 percent of its 170 years owned by the Garbers and their descendants, has been oriented toward the Republican Party, editorially. And that’s not surprising, considering that the patriarch of the family helped to form that party before the Civil War. Local Democrats didn’t like it, of course, but it fit with the general ideologically views of most of what has been called the Courierarea for many years. Over the last few years, though, the Courier’s editorial slant has veered to the left — much to the displeasure of many of their readers. I think this was due to two veteran newspeople who joined the news staff in the late 1990s to around 2000, who were both from other states and held very liberal political views. And of course, if the management of the Courier chose to OK that, it was certainly their prerogative. But it dropped the paper’s popularity with many of its long-time readers — not a good thing for any publication. But the Courier has a sterling record on many things in its 182 years. When President Abraham Lincoln was assassinated, the front page of the Courier on the very day of his death had a heavy black border around it — mourning for our fallen leader. And on the day that President John F. Kennedy was shot and killed in Dallas, the Nov. 22, 1963 edition, already on the press, was pulled back, and all the material on the front page was dropped down several inches so that the huge story, with monstrous headline, could be placed across the top of the page. The Courier was there for the Civil War, two World Wars, the Great Depression, the first trip to the moon — everything. YES, I WAS a reporter and occasional photographer at the Courier for almost 40 years. I wrote a number of the editorials I was discussing above; covered six murder trials; hundreds of basketball games; public meetings; house fires — you name it. Quite a career, in my opinion. Did the Courier management always give me the respect I felt I deserved? Did they always pay me what I felt was a fair wage? No. But that’s all ancient history. The Courier has been an outstanding newspaper for the city of Madison, a big majority of the time. Fellow Madisonians, I hope you’ll continue to extend your support to The Madison Courier at this difficult time in its history. We want the Courier to survive. We NEED the Courier. It’s way older than any of us. May our grandchildren read it years from now, just as we’ve done, many of us, all our lives. Congratulations on another well written article, Old Corporal. Well said. I can only add my own and my family’s wishes that The Madison Courier finds a way to HANG IN THERE!